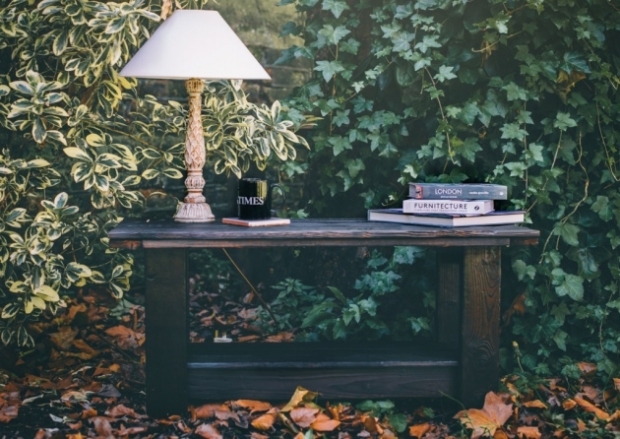 Pallet projects aren’t just for fun! There are plenty of ways in which pallets can be used to do good and help people in the community, from crafts to auctions. As we emerge from the festive period, with its spirit of giving, we wanted to share some of the inspiring projects we’ve seen from around the world. Founded in 2017, the Renew East London project started in the basement of St Paul’s Institute, East London. The goal was to train homeless people to become skilled carpenters and furniture makers, giving them confidence and helping them get back into society. The project has flourished, using discarded pallets as source material, and now has its own website selling beautiful pallet furniture. We are really impressed by the talent on display. 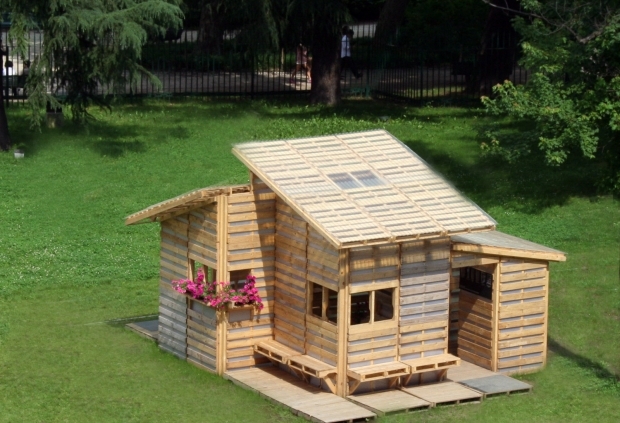 We were stunned to hear that 84% of the world’s refugees could be housed by just one year’s supply of recycled US pallets. Designers and architects I-BEAM went so far as to design an easy-to-build pallet house, originally for refugees returning home to Kosovo. 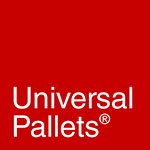 As they say, “Pallets are versatile, recyclable, sustainable, easily assembled and universally esthetically pleasing”. We think their house design is just beautiful – read more about their story here. In 2018, the Toowoomba Hospital Foundation ran their first ever “Pop Up Pallets” competition and auction, to raise funds for sick children. Over 50 pieces were created from pallet wood, some by school students, and the resulting auction raised hundreds of dollars for life-saving equipment. 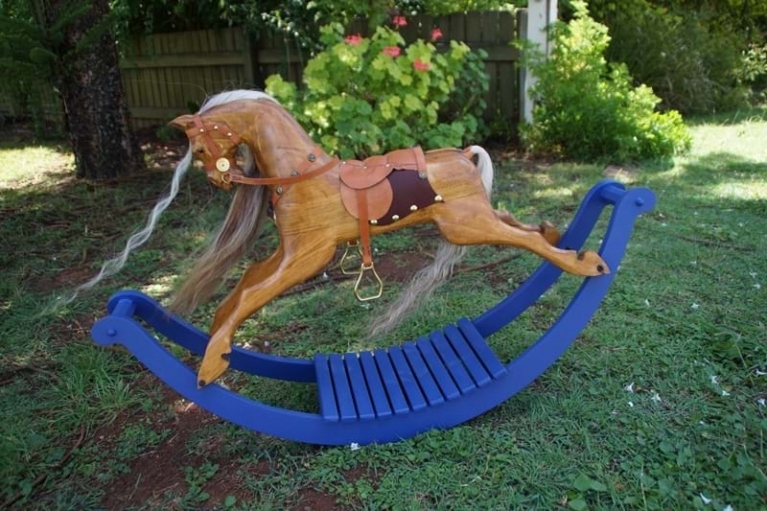 Can you believe that this rocking horse was created from pallet wood? More than 8,000 pallets extended more than a kilometre to create a huge maze at a charity event in Hong Kong, organised to raise awareness and funds for stroke rehabilitation. 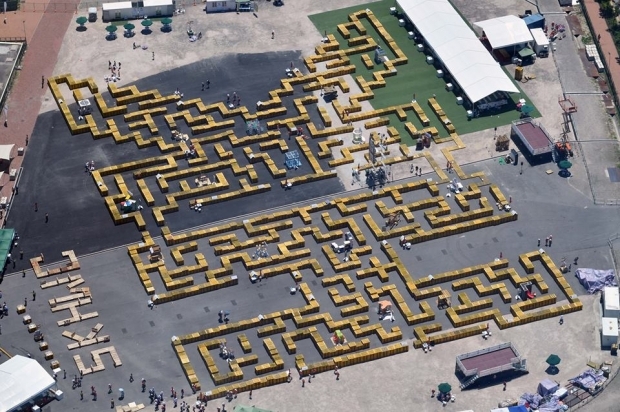 The maze was so large it even set a Guinness World Record for the Longest Line of Pallets! It’s not just craftspeople and charities who can help out in the world of pallet projects – businesses can get involved too. 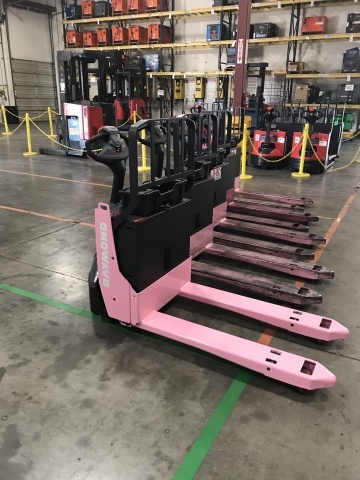 Keep an eye out for projects you can get involved in, like this Pink Pallet Jack Auction that’s now been running for 5 years and has raised nearly $150k for breast cancer charities. 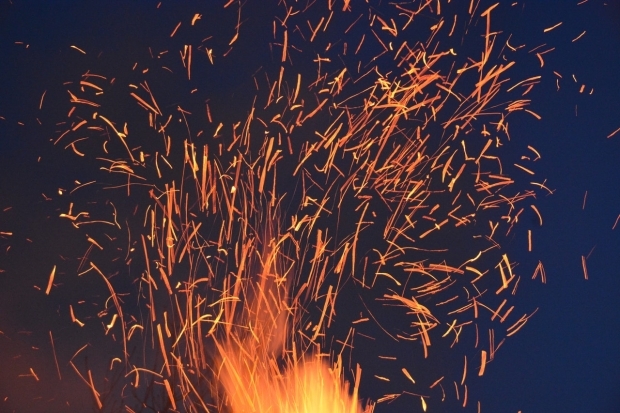 Sometimes, pallets really do reach the end of their life – and when they do, what better way to burn out than at a bonfire raising funds for good causes? The Poynton Round Table run a bonfire and firework display every year that raises money for charities and groups – Universal Pallets have provided the wood for this initiative for decades, and we’re sure there are plenty of opportunities out there in your local area too. It’s wonderful to see people using their skills and passion for pallet crafts to make a difference and do good in their communities. We’d love to hear about any pallet projects you have planned for 2019 that benefit the community, and we’re always happy to advise on any pallet problems or questions you have. Please remember not to use a discarded pallet for your project – you must know your pallet’s history to ensure that it’s safe for the intended use of your project. When in doubt, buy your pallets to ensure you know their history and that they are safe. Here’s our ultimate guide to pallet markings, to help you make sense of pallet safety.